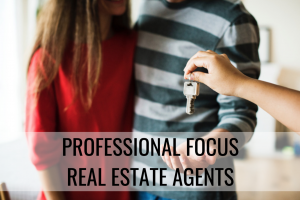 The potential for a Real Estate Agent to make over six figures is very present, but according to PayScale.com research, there is a huge range of earnings reported from $30K to over $115K. What makes this difference? What do you need to know going into the Real Estate Industry for you to run with the big boys? Well, as with any successful business, there are start-up costs to consider along with other routine expenses that you must plan for when building your business. This is incredibly more important for the self-employed, because you are responsible for the financial forecasting and budgeting. The more knowledge and resources you have, the easier it will be to make the right decisions and ultimately surpass your financial goals! Several hundred dollars, at the very least, could be spent in this area. There is a small cost for the application fee, processing fees for fingerprinting and a background check, as well as your state exam fee. Make sure to look into the specific fees associated with your area. Most agents depend on a local broker to take care of business expenses that you will encounter in your daily operations, such as; Office supplies, internet, insurance, office space, etc. Many brokers will charge a percentage of your commission, as well as a monthly fee. Check here for some helpful hints concerning your broker choice. While this is optional in part, you will most likely choose to participate as a member in your local real estate boards, state real estate boards, local multiple listing service and the National Association of REALTORS®. These expenses will vary depending on where you are working (home or office). Most Agents who work from home will continually spend money on paper supplies, office supplies, printing equipment, gas, phone, internet, car etc. You will make an initial list of what you anticipate to spend money on every month, but be aware that your list may grow. However, the important part is to be aware of where your money is going – small costs add up! Marketing for a Real Estate Agent will greatly depend on the individual, but it seems that too many agents underestimate the value of investing in advertising. Social Media is vital, and setting up the strategy can run up your budget. However, when agents position themselves correctly through all the available mediums, this faction of the budget can have the greatest return. As with any career, a professional should be constantly pursuing continued education in their field. Post-licensing classes are available through a multitude of platforms and can provide exceptional insight into meeting continual licensing requirements and improving your marketing strategy. With all of these factors in mind, you will need to budget accordingly to ensure that you are meeting every aspect of a successful business. Loans can be acquired as a worthy investment, and when you have good credit you can take advantage of unique loans for self-employed professionals such as; No-Doc Loans and Start-Up Loans – which we have the expertise to guide you through. Do not underestimate the importance of investing in your success!